Scarborough-Dennis R. Girardin, 68, passed away at home on Monday, November 19, 2018. Dennis was born on July 4, 1950, in Brunswick, Maine the fifth child of Armand and Irene (Michaud) Girardin. He attended St. John’s Catholic School and was a member of the Brunswick High School class of 1968, Dennis also attended Westbrook College. In 1981 Dennis married his loving wife Dorna Young of Scarborough, Maine. He worked all of his life in the grocery business starting at age 15 working for Cottles bagging groceries’. 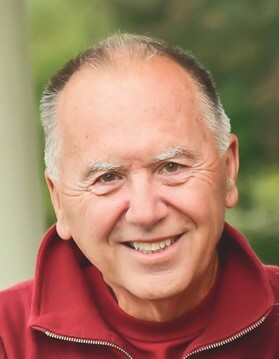 He went on to work for Hannaford managing several locations, and retiring from Associated Grocers of New England, in 2016. Dennis was dedicated to his work but above all else, he was very devoted to his family. His greatest passion was spending time with his wife, children, and grandchildren. He will be remembered as a truly selfless man and also will be remembered by many for being so caring and easy going. Dennis enjoyed traveling, especially cruises and visiting out of town family. Dennis and his wife Dorna spent time together volunteering for the Wounded Heroes Program of Maine and also the Honor Flight Maine. He is predeceased by his parents, and two brothers Robert Girardin, and David Girardin. He is survived by his wife of 38 years Dorna (Young) Girardin, and two children, Christopher Girardin and his wife Elayna of Cumberland, and their children Amelia, Alex and Caleb, Melissa Letarte and her husband Josh of Saco, and their daughter Tenley. He is also survived by his siblings Doris Simonson, Donald Girardin and his wife Connie, Theresa Houston and her husband Bill, also his two sister-in-laws Sheila widow of Robert Girardin, and Cynthia widow of David Girardin. A Funeral Mass will be held at St. Maximillian Kolbe Church 150 Black Point Road in Scarborough on Tuesday, November 27, 2018, at 11 AM. In Lieu of flowers if friends or family desire a memorial contribution in Dennis’s name can be made to the following organizations.